Paris, c.1758. 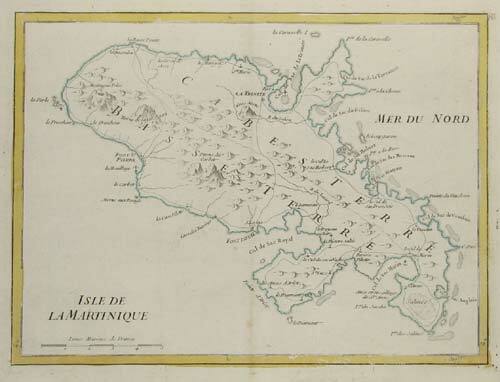 Map of the French island of Guadeloupe. Venice, Ziletti, 1574. 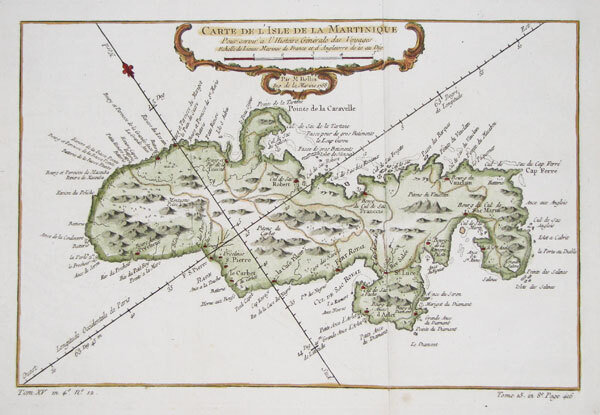 Map of Haiti and the Dominican Republic, with Tortuga off the north coast. 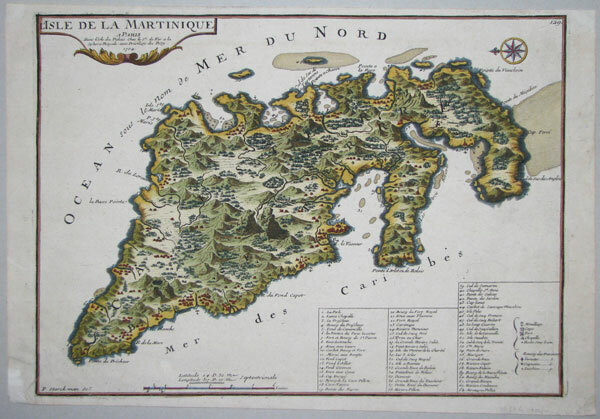 This example was printed without the upper surface of the place being cleaned of surplus ink properly: thus the map surface is darker than the paper on which it was printed. Venice, 1576. 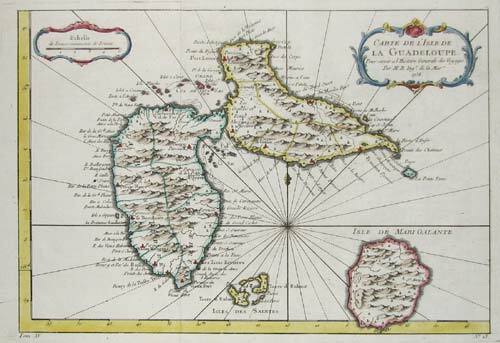 One of the earliest maps of Hispaniola, now divided between Haiti and the Dominican Republic. 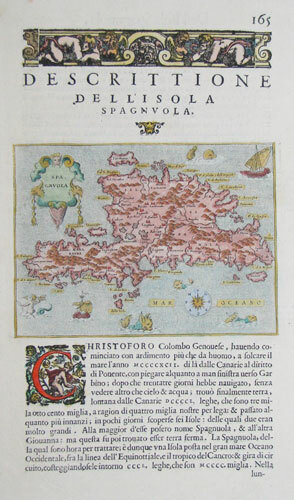 Engraved by Girolamo Porro for 'L'Isole piu famose del Mondo', first published 1572, a description of various islands of the world. Amsterdam, Jodocus Hondius.1616, First edition. 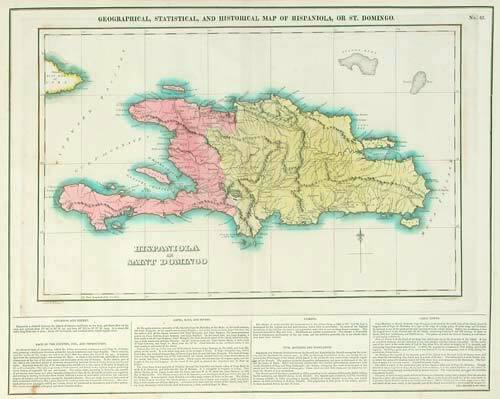 Hispaniola, now divided between Haiti and the Dominican Republic. Hondius engraved new plates for his edition of the Bertius atlas 'Tabularum Geographicarum Contractarum', which he sold alongside the Mercator 'Atlas Minor'. Frankfurt, c.1686. 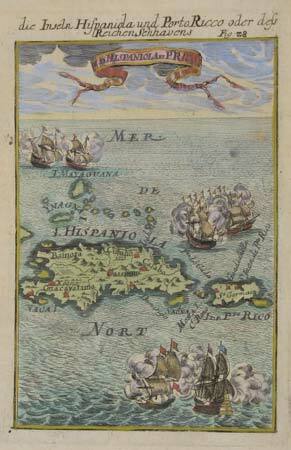 Map of Hispaniola and Porto Rico, with vignette sea-battles. Frankfurt, c.1686. Plan of Santo Domingo, capital of the Dominican Republic, published in Mallet's 'Description de l'Univers'. Paris, 1754. 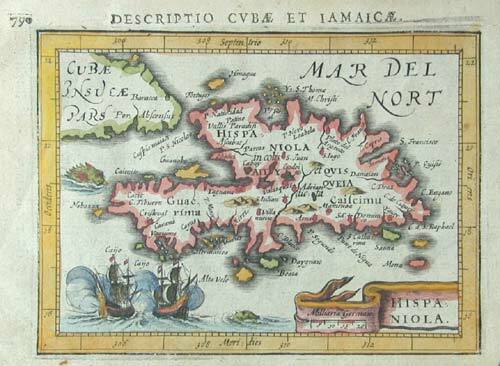 Map of the early Spanish discoveries in the New World, centred on Hispaniola, but also showing Porto Rico, the Virgin Isles and the eastern parts of Cuba and Jamaica. Livorno, 1777. From an Italian edition of Bonne. Edinburgh, 1815. Detailed map of Haiti and St. Domingue. Philadelphia, 1822 or London, 1823. From the 'Complete Historical, Chronological and Geographical American Atlas'. Paris, c.1760. Jamaica divided into Parishes. London & Edinburgh: A. Fullarton & Co., c.1870. 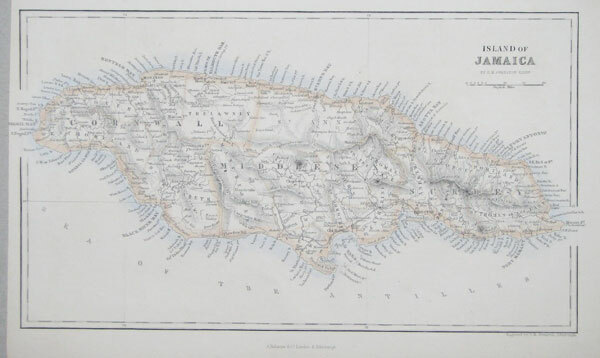 Detailed map of Jamaica. Paris, 1705. 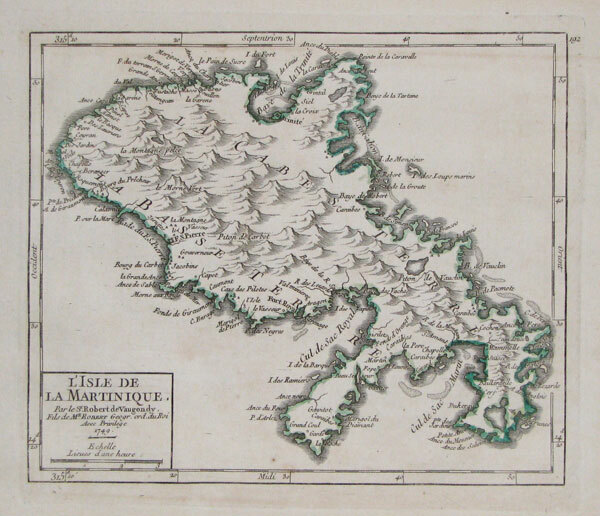 Map of Martinique, engraved by Starckman, with physical features shown in profile and a 63-point key. Amsterdam: Covens & Mortier, c.1740. 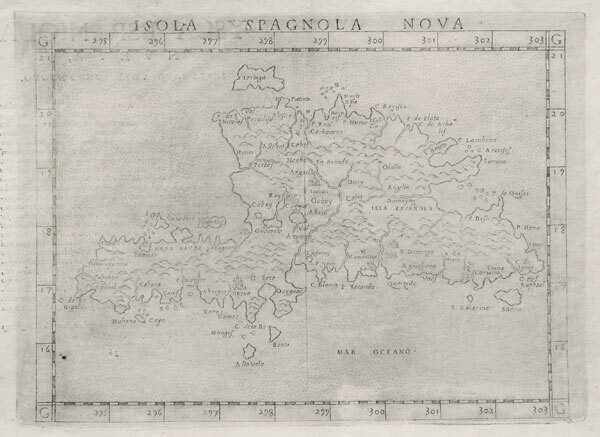 A fine impression of this map of the island. Paris, 1749. The French island of Martinique in the Antilles. Paris, c.1760. 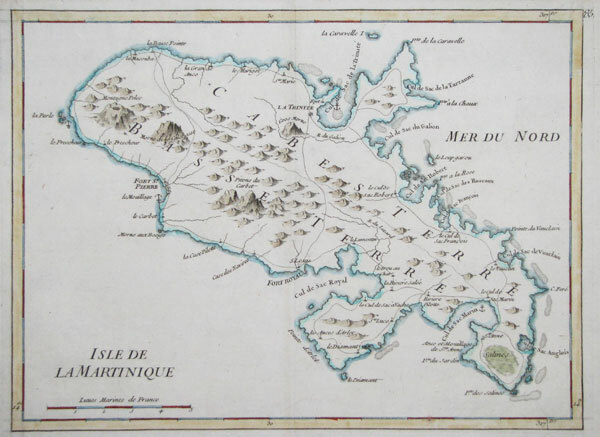 Map of the French island of Martinique.